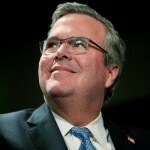 Republican Jeb Bush, a possible contender in the 2016 presidential contest, said today that he is eager to hear a controversial speech by Israeli Prime Minister Bibi Netanyahu to the U.S. Congress next month, Reuters reports. Bush, a former Florida governor, said he was surprised by the White House’s reaction to the planned speech, organized by congressional Republicans. 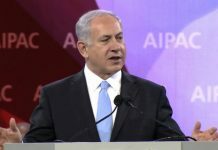 President Barack Obama has said he will not meet with Bibi to avoid the appearance of interfering in Israel’s national elections on March 17.